Production began on The Amazing Spider-Man 2 earlier this week, and today Sony made their official announcement by providing the first synopsis for the film. In that synopsis was another interesting bit of information too – Colm Feore is a member of cast, but there’s still no word on what his role is. Check out the official synopsis from Sony below. This synopsis really doesn’t give much insight as to what the plot of the film will involve, but it does confirm the title will be The Amazing Spider-Man 2 as opposed to The Spectacular Spider-Man as was rumoured. The most interesting bit of information we gain from the synopsis is the fact that Feore has been added to the film. Feore has already made one appearance in a Marvel film. He was King Laufey in Thor who, for those who don’t remember, was King of the Frost Giants and Loki’s father. It’ll be interesting to see who Feore will play in this film. A likely choice would be Norman Osborn, as he’s a character that the first film referenced many times but never introduced. However, there are always other possibilities, such as another villain (potentially the Vulture?) or J. Jonah Jameson, who still has yet to appear in Webb’s Spidey universe. It’s also interesting that the synopsis makes no mention of Felicity Jones despite the fact she was recently confirmed as having a role in the film. Potentially her appearance will be brief and only serve to set up another story-line for The Amazing Spider-Man 3. Maybe even an appearance as Felicia Hardy in this film and then a more prominent role as Black Cat in the next one. Hey, we can always hope right? 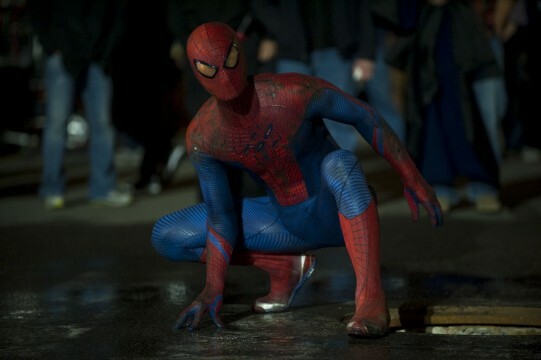 What do you think of this first synopsis for The Amazing Spider-Man 2? How about the addition of Feore to the cast? Head to the comments section to share your thoughts.